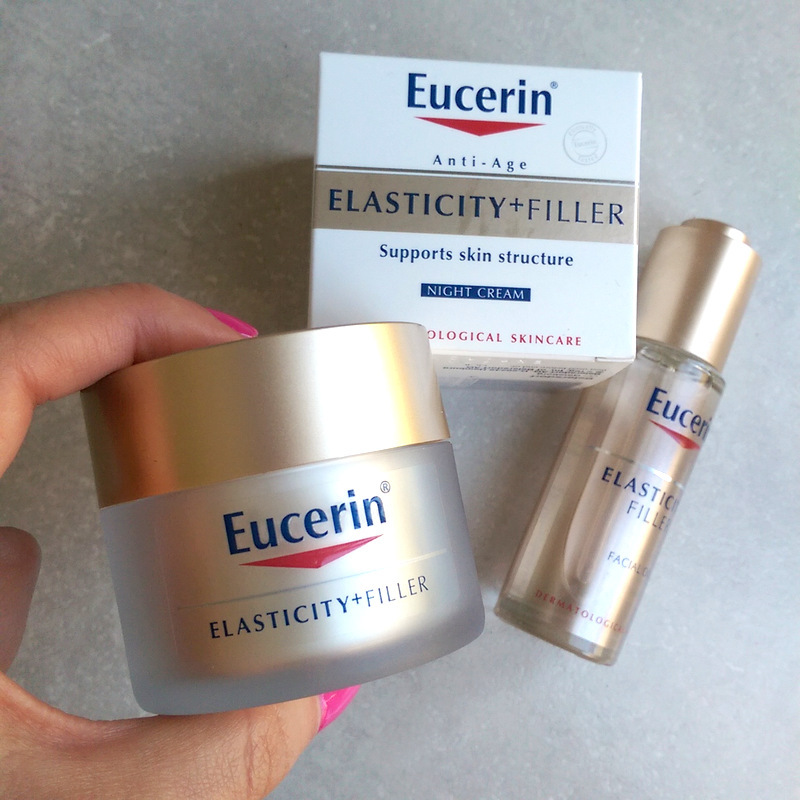 Let’s chat about a new line from Eucerin called Elasticity + Filler. Aimed at those wanting more supple-feeling the range consists of a day cream with an SPF 15 (R349,99), night cream (R349,99) plus a facial oil (R399,99). I’m holding the day cream. The night cream is in the box. Both the day and night creams actives include skin plumping hyaluronic acid, collagen-boosting arctiin (it’s a phyto active derived from the fruit of the Burdock plant) and silymarin, a circulation-improving antioxidant extracted from the milk thistle plant. Of the three, I most like the facial oil. It’s got this lovely, clean scent that makes me think of fresh laundry blowing in the breeze on a summer’s day. The formulation’s pretty simple – a lipid-rich synthetic hydrator (octyldodecanol) with a dash of the aforementioned silymarin (God, you gotta love that name), argan oil and vitamin E in the mix. All three are good antioxidants that contain hydrating omega fatty acids – 6 in the milk thistle and a double whammy of 6 and 9 in the argan oil. 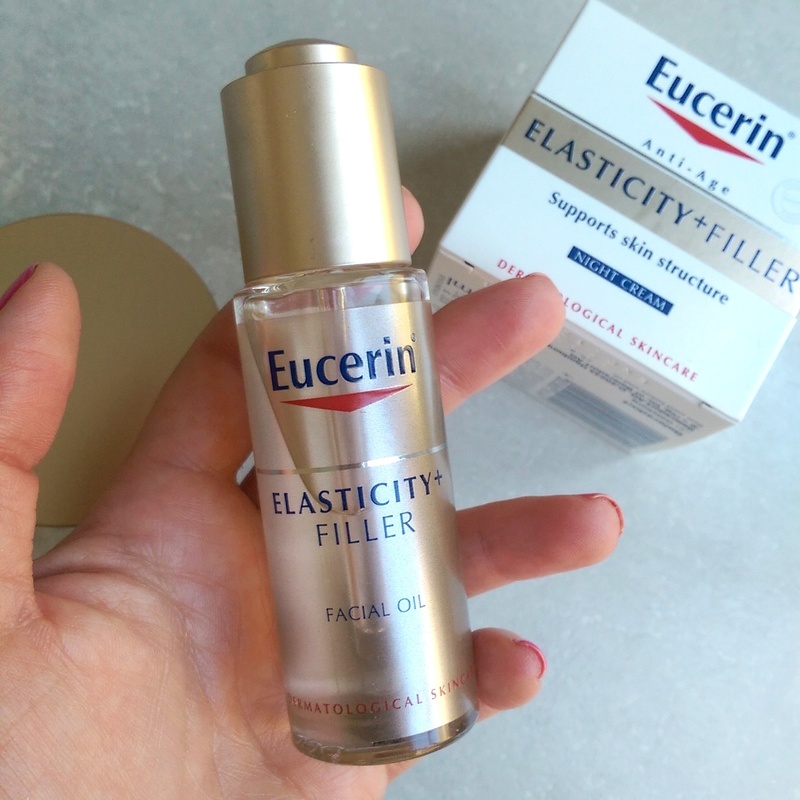 It’s the kind of thing you could easily apply straight up when your skin needs a little more moisture or mix a few drops into your existing hydrator to give it a boost. Recently, a slew of top end brands have launched facial oils with the exact same purpose and if you want all the aforementioned in your life but don’t have deep pockets this is a nice pick. I must try these products. Your review enhances the products. We love the post, Leigh. Oh. Nice. This sounds like it should be on my Christmas wish list!